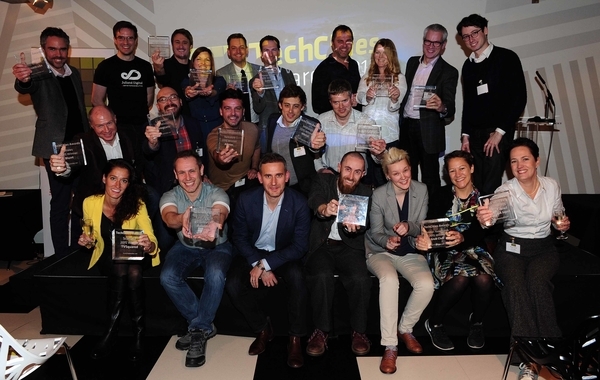 Our founder, Rosemary Forsyth, was last week invited to present the TechNation200 tech funder award, at the inaugural TechCities Awards. Rosemary is an angel investor, and an investor in Seedcamp, and was asked to present the award for funder of the year. The nominees were Alasdair Greig of Northstar Ventures, Hermann Hauser of Amadeus Capital, and Sarah Turner of Angel Academe. 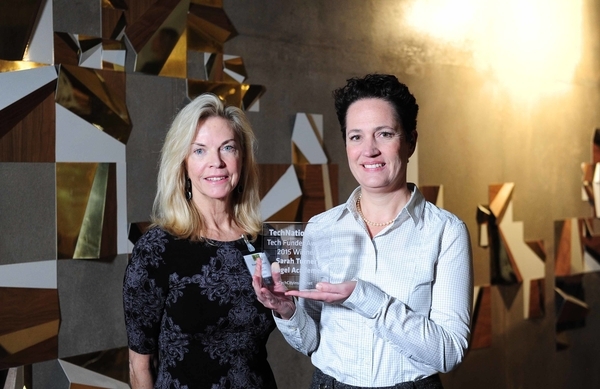 We were delighted to see Sarah Turner win, as admirers of Angel Academe’s push to get more women into tech. A centre for entrepreneurs report from January revelead that the proportion of women angels in the UK stands at 14%, which, while not as high in the USA, is a marked improvement from the 5% previously reported by Nesta, and Sarah Turner and Angel Academe are playing a big role in this.